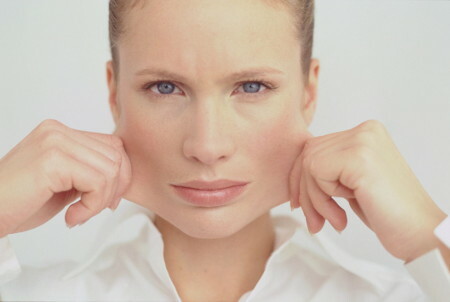 According to statistics, only in 2-5% of cases the facelifting results in any complications. A qualified plastic surgeon always warns his/her patients about the possibility of adverse effects of any correction, because each body is individual and none of the experts can 100% eliminate the risks. What exactly complications can cause a circular face and neck-lifting or other methods of lifting? The diagnosis of hematomas is quite simple. The client feels pain, blood can permeate through the suture lines, and the tissue volume is increased in the ear area. Hematomas can be diagnosed during the first 4-6 hours after the correction, already. And the sooner the doctor takes the necessary measures, the better. Otherwise, skin necrosis may develop, the consequences of which are much more difficult to eliminate. If the hematoma is small, it can be removed via aspiration or through a suture. If it is tense and continues its progressive development, an urgent operative treatment is necessary. In practice, an examination that a patient undergoes before plastic surgery is a hematoma preventive care. That is why you need to be scrupulous about the preparatory stage. As a rule, the cause of necrosis is insufficient nourishment of the tissues due to their tension and excessive detachment during the lifting. This kind of complications occurs in the area of greatest tension, that is, behind the ears. Such effects are extremely rare and can be caused, for example, by a tuft of hair that fell into the incision at the moment of suturation in the hairy part of the head. Apostemation may be the result of the above-mentioned complications (skin necrosis and hematomas). When sealing sutures after surgery, surgeons, as a rule, prescribe drugs improving blood microcirculation. In some cases, correction by operative treatment is possible. Cicatrix hypertrophy can be caused by the individual differences of the patient’s body. Therefore, if you know that there is a possibility of such consequences occurrence, better select an attenuated endoscopic facelifting. Tissue pigmentation may occur after intracutaneous bleeding in patients with sensitive face skin. But, this is not forever; it will disappear without a trace within a year after plastic surgery. Face contour deformation. It can occur due to uneven liposuction, excessive fat removal in a specific area, or improper transsection of the superficial neck-muscles. Only qualitative planning of the procedure and accurate job of a plastic surgeon can reduce the probability of contour deformation to zero. As a rule, it is local and can be observed only in the temples and behind the ears, that is, where the layer containing the hair follicles is damaged due to the high tension of the skin. If such a problem occurs, then, as a rule, it is solved by itself and 3-4 months later the hair is restored. If not, then operative treatment is necessary. Sometimes hair loss has a generalized nature and is a consequence of stress. This complication occurs in women who also had weakened hair follicles before lifting or another type of correction. But, each of the listed complications should be discussed with the doctor at the consultation stage, and measures to prevent them should be taken before plastic surgery. Rehabilitation after breast surgery: loss of sensitivity Reduction in sensitivity after mammoplasty is a problem that concerns the majority of patients who have already undergone surgery and those who are just preparing for breast correction. 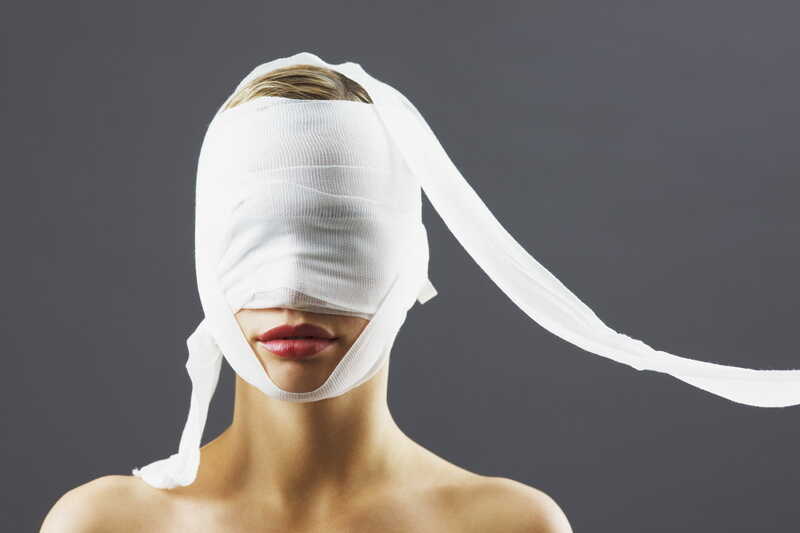 Of course, it is better to ask in advance your plastic surgeon about potential complications. After all, mammoplasty belongs to the category of complex operations. The procedure involves the complete incision of all layers of the mammary glands. Why is winter the best time for peeling and skin resurfacing? Seamlessly, our skin is constantly renewed. The dead cells of the horny layer of the epidermis are peeled off, and new ones appear in their place. However, as a result of the influence of aggressive environmental factors and due to the abnormality of regeneration processes, dead cells accumulate on the skin surface. The newly formed layer is an ideal environment for bacterial growth, and therefore the development of inflammatory processes. That is why phenol peeling and resurfacing are becoming increasingly popular not only among women but also among men. Snub nose – how to correct the shape? Not everyone has a distinguished appearance since birth. Delicate correct nose, almond-shaped eyes and pouty lips – a perfect combination that millions of women dream of. Dissatisfaction with themselves increasingly frequently forces them to apply for contour correction or the services of plastic surgeons (rhinoplasty). Neither expensive famous brand-name creams, nor the most sophisticated recipes of homemade lotions are able to protect you from wrinkles quickly and for a long time. Their regular use and proper systemic skin care, of course, make wrinkles less noticeable, but do not eliminate them. Many women are not satisfied with this result, that’s when the contour correction comes to help. The high and clear cheek line has always been considered to be one of the signs of female beauty, and the protruding and raised cheekbones are the signs of male handsomeness. But not everyone can boast with the perfect outlines of facial contours. Contour plastics or aesthetic surgery will help to correct an oversight of nature.